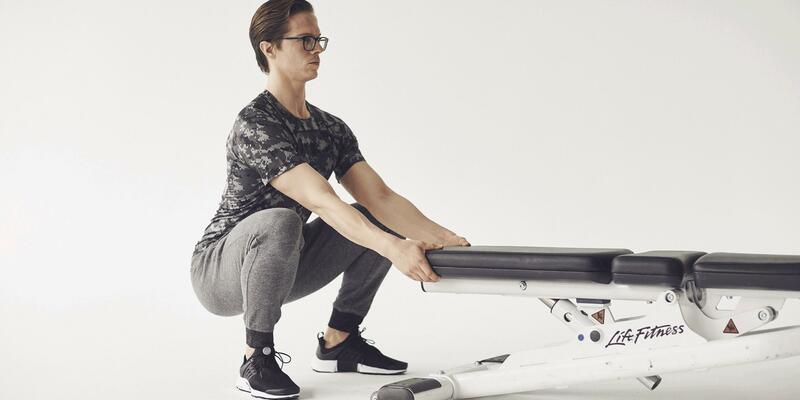 The squat is one of the best exercises for building strength and improving mobility, says Justin Jacobs, Tier X manager at Equinox St. James in London. But failing to prep your body for the movement can lead to pain and added stress on the joints. To avoid discomfort and help you reach your full range of motion, incorporate these five activities into your routine. 1. Roll before your workouts. Use a lacrosse, golf, or massage ball to roll the bottoms of your feet and all the way up the calves. If the arches of your feet cave in when you squat, it could be due to calf tightness. 2. Warm up with ankle and hip circles. These joints aren’t just for the flexion and extension motions of walking in the sagittal plane. They’re supposed to have a larger range of motion, and doing circles can help them get deeper into a squat. 3. Master the quadruped rock. 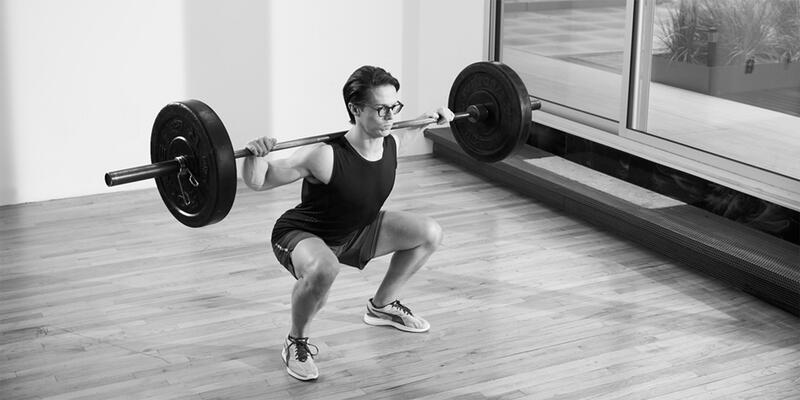 This move helps reinforce proper squat form, Jacobs says. To do it, place a stability ball on the floor against a wall. Get on all fours facing away from the wall with your feet squeezing the ball and hands aligned under your shoulders. Keeping arms and back straight, push hips back, increasing the bend in your knees. Push hips forward to return to the starting position. If you notice your knees often fall inward when you squat, integrate more lateral work (like side lunges and mini-band walks) into your weekly routine. This will strengthen the abductor muscles of the outer hips and help keep your knees in formation. 5. Do the figure-eight butterfly. Sitting limits the range of motion in the glutes and can leave them feeling tight, which negatively affects your squats. To allow the muscles to contract the way they’re meant to, perform the figure-eight butterfly, says Jill Miller, a group fitness instructor at Equinox Encino in California. Try it: Lie on the floor with knees bent and a therapy ball under each glute. Press soles of feet together and open knees out to the sides. Swirl hips in a figure-eight motion, moving the balls all over the glutes. Continue for 90 seconds to 2 minutes.